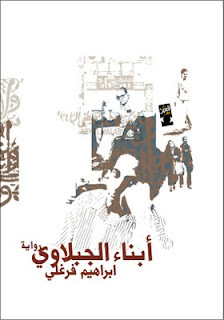 CAIRO: The Association of Freedom of Thought and Expression condemned in a statement the decision to ban copies of Ibrahim Farghali’s novel, “Abnaa Al-Gabalawy” (Sons of Al-Gabalawy), from reentering Egypt when shipped back from Abu Dhabi Book Fair, saying it violates the principles of the January 25 Revolution. In its statement, the Association of Freedom of Thought and Expression said the revolution called for combating censorship authorities in order to achieve freedom of expression and creativity. The statement that this ban is akin to practices followed before the revolution. 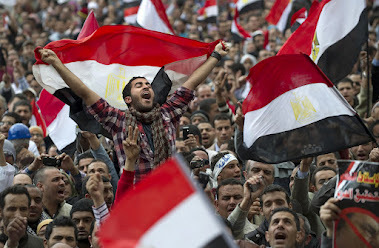 “We call for a complete restructuring of censorship authorities by eliminating the censorship process on all media and replacing it by age rating,” Sarah Al-Masry, media representative for the Association of Freedom of Thought and Expression told Daily News Egypt. In early 2011, Dar Al Ain, the novel’s publishing house, shipped copies of the novel to take part in the Riyadh, Abu Dhabi and Casablanca book fairs. The copies were banned from reentering Egypt on their way back. No official document was sent by the relevant authorities to the publishing house declaring the ban or the reasons behind it. In the association’s statement, Fatma Al-Boudi, manager at Dar Al-Ain, claimed that the reason behind the ban is that the novel points out the inefficiency of the Egyptian Ministry of Culture and tackles the Egyptian cultural poverty. The novel title is named after the main character of Naguib Mafouz’s banned novel “Awlad Haretna” (Children of our Alley). The novel narrates the story of a group of people who woke up to find out that all of Mahfouz’s novels and books have disappeared from bookstores. A state of chaos and pandemonium ensues and rumors are spread that the characters of Mahfouz’s novels are alive looking for his books. The novel goes on to point out the inefficiency of the culture and information ministries in dealing with Egypt’s deteriorating cultural condition. According to Ashraf Youssef, a poet and publishing official at Dar Al-Ain, “Awlad Al-Gabalawy” has been susceptible to censorship since its debut. It was published in one of the free zone print houses for fears of censorship. The second edition was printed in 2010 in a regular print house and distributed in bookstores. 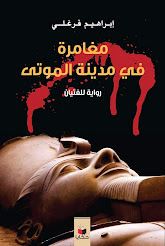 This is not the first time the novel is banned from reentering Egypt. In 2010, the publisher shipped copies of the novel to Iran’s book fair and the remaining copies were prevented from returning to the country. The publisher hadn’t received any official documents announcing the ban. “Unfortunately, there seems to be forces still living in the delusions of the past. But I think new Egypt will not accept such values that grew in an environment of dictatorship and tyranny,” Farghali wrote on his blog. “Abnaa Al-Gabalawy” was critiqued by several known writers including former minister of Culture Gaber Asfour, Salah Fadl, Hatem Hafez, Tarek Imam, Ammar Ali Hassan and Khaled Azab. “We are planning to publish a third edition in 2011 on condition that the Egyptian book fair takes place in September as announced,” Youssef said. Writer and journalist Farghali was born in 1967 in Mansoura. His novels include “Bittijah Al-Maaqi” (Towards the Eyes, 1997), “Kahf Al-Farashat” (Butterflies’ Cave, 1998), “Ashbah Al-Hawas (Ghosts of the Senses, 2001) and “Ibtisamat Al-Qedeseen” (The Smiles of the Saints, 2004), which was translated into English and published by the American University in Cairo in 2007.